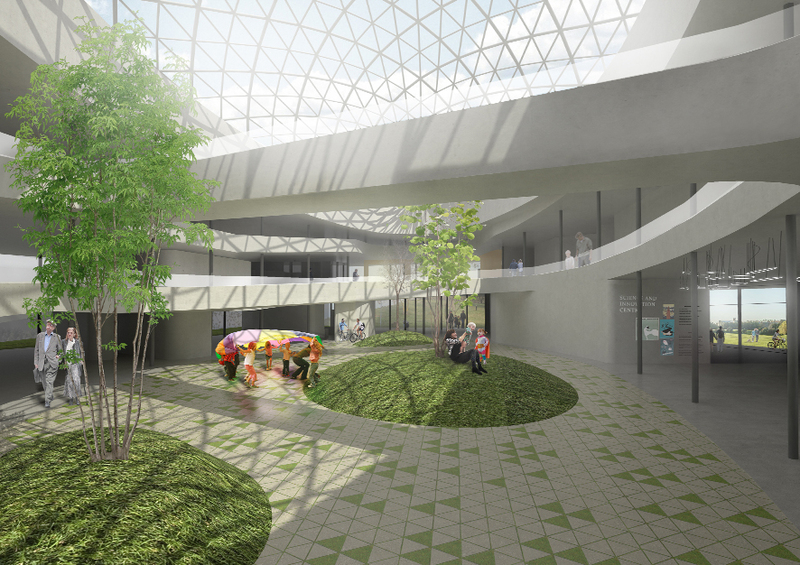 We are happy to present our proposal for a Science Centre in Lithuania. PANEPISTIMION is inspired by classical architectural values. It adopted the rhythm and the clarity of the structural aesthetics while the whole volume builds up like a continuous spiral. From this perspective below you can see the protected openness of the core void.